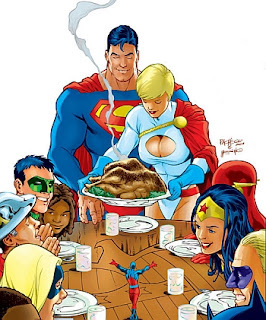 Conspirator Brock's Basement: Happy Thanksgiving! From my family to yours I hope that this Thanksgiving is filled with laughter, great food, friends and family. Remember that even the smallest thing is something to be thankful for. And if you brave the Black Friday madness be safe out there, because people be rioting for those ridiculous deals.